ITER is the most complex science project in human history, designed to demonstrate the scientific and technological feasibility of fusion power. Fusion, the nuclear reaction that powers the Sun and the stars, is a potential source of safe, non-carbon emitting and virtually limitless energy. Harnessing fusion’s power is the goal of ITER, which has been designed as the key experimental step between today’s fusion research machines and tomorrow’s fusion power plants. The donut-shaped reactor called tokamak, in which the hydrogen plasma will be heated to 150 million degrees Celsius, ten times hotter than the core of the Sun, to enable the fusion reaction. As a large international in-kind collaboration among China, EU, India, Japan, Korea, Russia, and USA, the ITER project promotes standardization of the control infrastructure to ensure a manageable integration of all subsystems. The ITER fusion reactor is a large and complex project due to the multitude of large composing parts called plant systems. The seven ITER domestic agencies are tasked with building plant systems as in-kind contributions: they must be delivered as completed systems including their own Instrumentation and Control (I&C). says Anders Wallander, Head of Control System Division at ITER Organization. Together with ITER’s Control System Division (CSD), Cosylab played a valuable role in building the right tools, and providing expert training and support to achieve the high level of harmonization and standardization of the system’s interfaces that ITER is aiming for. ITER is an international nuclear fusion research and engineering megaproject, which will be the world’s largest magnetic confinement plasma physics experiment. They were looking for a partner with dynamic and motivated people who are experts in their field. ITER’s Control System Division (CSD) is in charge of realizing the control system of the ITER machine, named ITER CODAC (Control, Data Access and Communication). To improve the homogeneity of the plant system’s I&Cs, that will become a part of CODAC, the CSD promotes standardization for the development and testing of those plant system I&Cs. Therefore, CSD has prepared a set of rules for the development of plant system I&Cs — the Plant Control Design Handbook (PCDH), which must be followed by all ITER contributors — and developed a platform called the CODAC Core System, which is a software distribution with all the necessary tools that enable developers to make the plant system I&Cs PCDH compliant. Using the platform, ITER contributors are encouraged to use standardized solutions, thus reducing risks during system integration. 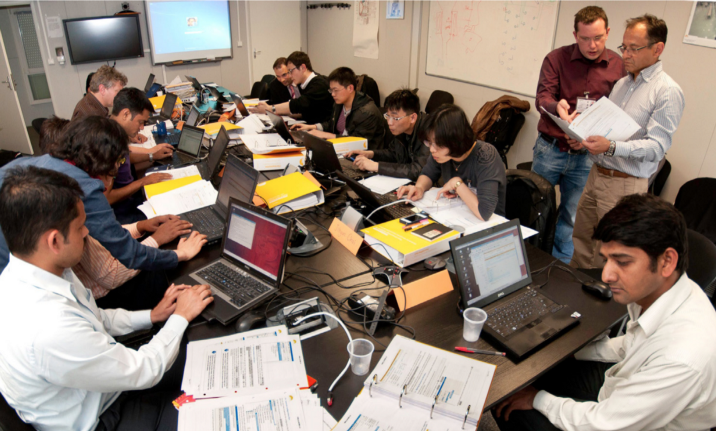 Provide high-level training to I&C engineers around the world to use the CODAC Core System, giving them a sufficient level of expertise to develop plant system I&Cs for ITER. Provide direct technical support to the CODAC Core System users around the world, ensuring that they will be able to use its tools with ease and following the PCDH standards and guidelines. At Cosylab, we are aware of the multi-faceted nature of a software distribution infrastructure like the CODAC Core System (CCS). It is both a runtime and a development environment. It cannot be monolithic if it needs to allow contributions from the EPICS community, ITER domestic agencies or others to be easily incorporated. Therefore, the solutions had to be granular and dynamic, yet well-managed. This is essential to achieve uniformity across the various development sites and be developer-friendly. The CODAC Core System is currently being used intensively in the development of plant system I&Cs. It is a toolkit that is both high-level and I&C oriented. It is used for developments to be specifically ITER PCDH compliant. Using such a toolkit requires extensive technical support. “Regular on- site hands-on workshops, ad-hoc sessions at ITER Domestic Agencies (more than 20 sessions in total) and on-line training videos provided by cosylab have been very efficient for maintaining a low learning curve and having the ITER suite usable by I&C developers of all backgrounds from around the world,” adds Di Maio. Ensuring a consistent way of managing the plant systems is paramount for a successful operation of ITER and therefore the Plant System Handbook and the CODAC Core System software suite have been put in place. The plant system I&Cs are now better prepared for a faster integration, with risks of re-work being reduced, while users of CODAC have received un-interrupted and consistent high-level support and can focus on their productivity. Since 2008, Cosylab has been ITER’s trusted partner for substantial and continued delivery of software services related to the CODAC Core System. 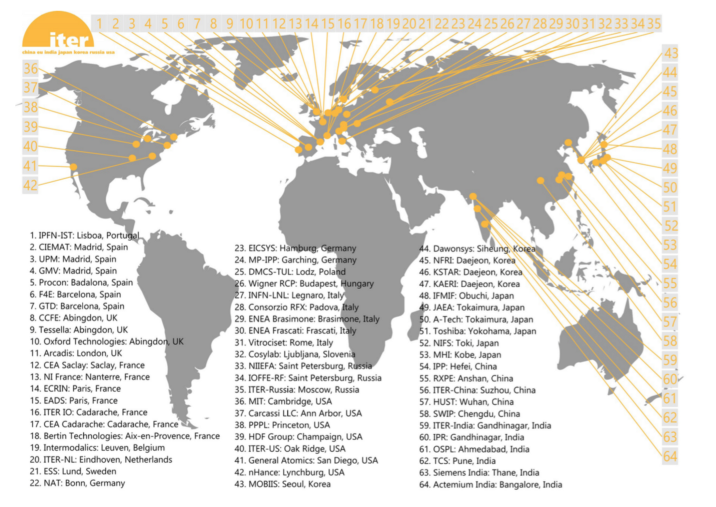 Cosylab’s contributions to the ITER project go beyond the CODAC Core system. Next to the development activities, the ITER project also prepares operational aspects of the control system, for when the ITER machine will be generating plasma pulses. Cosylab experts are assigned consultancy work on technical analysis, design of configuration applications, the real-time framework and other software tools in this area. Download the in-depth Case Study on how the CODAC Core System addressed the standardization challenge and how Cosylab contributed.